← Knight Rider Coming to Blu-Ray in Japan! Paul LaGreca Remembers ‘Silent Knight’! 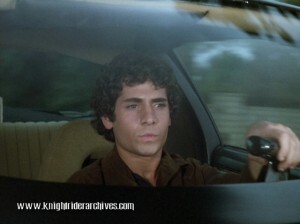 Remember Tino, the gypsy kid being terrorized by bank robbers in Silent Knight, Knight Rider‘s 1983 – and only – Christmas-themed episode? 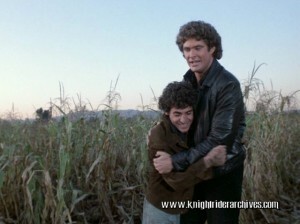 Paul LaGreca, who played Tino, has been kind enough to share his memories of his time on the Knight Rider set with us, talking about his character, his favourite scenes and David Hasselhoff! “I arrived on the Knight Rider set on a VERY hot October day,” Paul remembers. “I was to play Tino, a punk kid who continually gets into mischief. My costume had me in a corduroy jacket in the West Covina heat. I was nervous before shooting, so all I had for breakfast was an apple and a cup of coffee. “The very first shot of the day was my insisting to be let out of the car because I had to vomit (I was faking it of course to get away from the bad guys). Over and over again I said in the car, ‘I’m gonna be sick, let me out.’ The windows were rolled up, I had no air and say something enough times and believe it as an actor and I believe you can fool yourself!! All of a sudden I felt it coming up …. I tried to breath and push it down, but it was no use!! Once again I had to say the lines, ‘I’m gonna be sick.’ If you watch the scene now you can see that I was pale as a ghost and sweaty. I begged to stop rolling, opened the window and vomited out of it!!!! “David Hasselhoff was so great. Since it was my first shot, the director was afraid I had the flu and suggested replacing me. I begged him not to explaining that I did not eat well, I was nervous, it was hot, plus my lines were I’m gonna throw up! Give me a break!! He believed me, but made me go rest and the crew changed the shooting schedule around me. Paul has just started a YouTube channel where he will begin uploading a lot of his older and more recent work, including his new web series The Sit Room. We extend our thanks to Paul for taking the time to share his experiences with us! 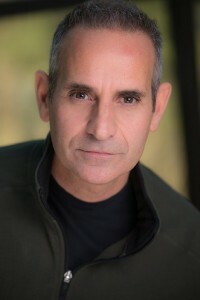 This entry was posted in Actors, Guest Stars, Interviews, Knight Rider, Original Series and tagged David Hasselhoff, Paul LaGreca, Silent Knight. Bookmark the permalink. awesome! i still have this recorded on vhs from when i was a kid when it first aired. i have watched it many times through the years. it’s always interesting to hear the behind the scenes stories,thanks!